Local search is an important part of an effective Search Engine Optimization strategy for businesses that want to be found locally. 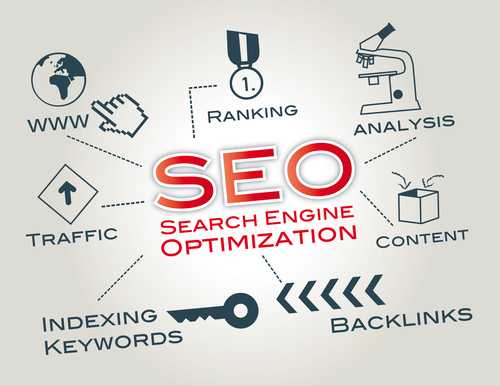 However, it is common for these types of businesses to also want to rank in local organic searches in nearby neighbouring communities and cities where they do not have a physical address or location. The key to creating service are specific landing pages is no different than building the regular city specific page where you have a physical location. The main difference is that you will not list your business’ address because you want to rank in a different location, not the one associated with your address. The business has a single physical location, yet has clients and customers in neighbouring communities and cities. The business’ service area covers a wide range of communities within a single geographic area, like the GTA, but lacks an actual physical location. Businesses that want to attract new customers and clients from neighbouring areas. These two elements are just as important as the actual content on the landing page. The Title Tag should reflect a relevant short keyword along with the city or community, followed by the name of the business, and not exceed 60 characters, with spaces, in length. The Meta Description is the summary displayed in search results below the link. You should focus on your products or services, along with the target location, while not exceeding 160 characters, with spaces in length. You should have the city or community name as part of the URL page name. You may want to also include a specific keyword, but be careful to not overuse the same keyword for each page. Headings – Break up large chunks of text with headings. Internal Links – Add a few internal links to relevant pages. External Links – It is okay to use external links to relevant content. Navigation – It should be easy to navigate the page, just like the rest of the website. Avoid using a “Locations” box and listing a bunch of cities and communities. Rather, create a link such as “Areas We Service” and put each of your pages under this link. Original Content – Each of the pages should include original content that can be similar, but should not be an exact duplicate. FAQs – You can list FAQs on the page from existing customers you have in that location. Pictures – Add pictures to the pages, such as actual customers’ homes where you have completed projects in that community. Reviews and Testimonials – Add a section for customer reviews and testimonials from customers in the target location. Developing location specific page content is not difficult and can boost your local organic search rankings when done correctly. For assistance in developing web landing pages for local service areas or page content, please contact Webryze as (416) 900-1047 today! Designing Mobile Friendly Website Pages for Local BusinessesAre Semantic Search and RankBrain Good SEO Strategies?